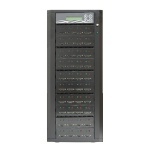 Apart from inheriting the high-speed performance and well-recognized compatibility with diversified media, the Intelligent 9 duplicators not only support duplication of large target count and capacity to meet high-volume demands, they also help users examine flash cards by providing the most accurate testing results known today. Through user-friendly interface, the new Intelligent 9 duplicators can be operated standalone with no steep learning curve for users to climb. Their ergonomic design facilitates efficient operations by letting users easily insert and remove flash cards, and the 80%-reduced footprint compared with their peer in the market has led to better space utilization and freight savings. NOTE: USB-HDD duplication requires the purchase of an additional power supply. Firmware and software for this unit may be available for download from the manufacturer. *The product spec will be subjected to change without further notice. With diversified media duplicator offerings and customer-oriented philosophy, U-Reach has long been recognized as industry leader. The new Intelligent 9 Series, which have broken the traditional thinking & limit from of duplicator, is anticipated to soon take up crucial role at the diversified media duplication stage; and it will certainly become must-have tools for people in search of high-end quality. Because of the portable and easy features for carrying large capacity data, USB-HDD is very popular in the current market and further applied into education, systems integrators, etc. The U-Reach Intelligent USB duplicator is the only one duplicator that provides the best duplication solution for both USB sticks and USB-HDDs. Quick data copy function will analysis the data and copies only the data portion, there by enhancing the copy efficiency. It is strongly suggested to use Copy + Compare to achieve perfect duplication. 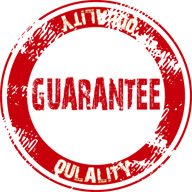 The quality, capacity and speed checks are useful and reliable tools to inspect the quality of the Flash cards you purchased. Professional H3/H5 Test completely shows the Flash cards quality. completely shows the Flash cards' quality.This tool exams the entire Flash media bit-by-bit to show the reading and writing speed and bad sector quantity. This is a useful tool before you make a purchasing decision or to make quality inspection of the Flash cards. The capacity check can report the accurate capacity of Flash card. The measure speed check can show the reading and writing speed of the Flash card. The asynchronous copy loads data to buffer memory automatically and allows each slot to duplicate data independently and continuously. 2. 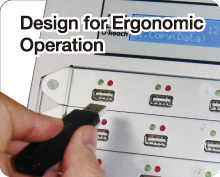 Ergonomic design for easy operation. 3. 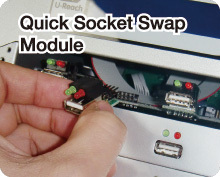 Quick socket swap module. 4. Apply new advanced Multi-Core processor. 5. Complete standalone system, no computer required. 6. Supports all format, data size and USB/memory card capacity bit by bit copy. 7. Comply with USA Department of Defense (DoD) data security standard provides DoD Erase function. 8. 4 kinds of professional quality diagnostic tools for Flash module. 9. "A2 Fake Picker" shows accurate capacity of USB/Memory card to get rid of low quality or fake flash media. 10. "Speed Check" shows Reading and Writing speed of the Flash module within 8 seconds. 11. "H3/H5 Media Check" shows the quantity of bad block though bit by bit examination. 15. 2 second format, 3 models available for selection. 16. Supports Synchronous and Asynchronous modes for Copy/Compare/ Erase/ Format function. 17. Strict bit-by-bit hardware comparison further increases the reliability of duplication. 18. 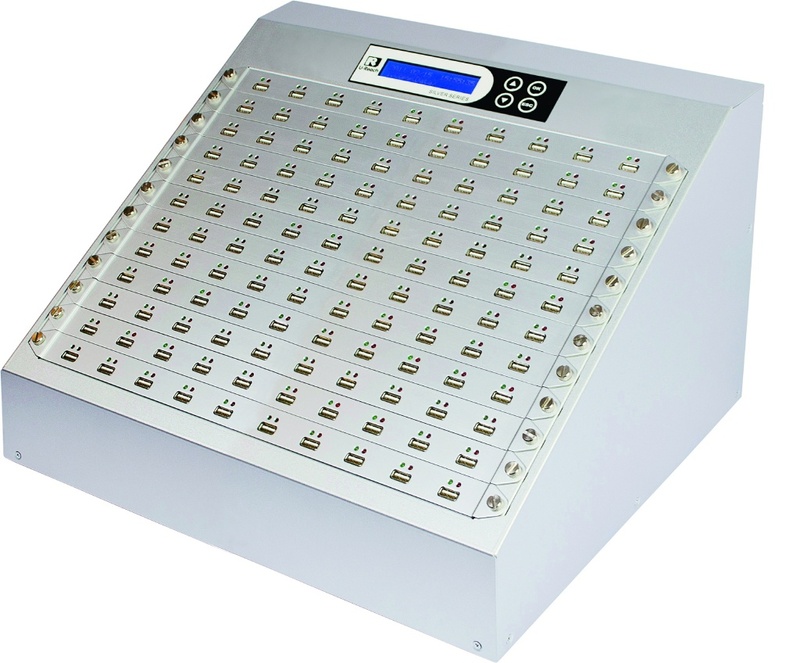 User-friendly interface with real time information LCD display. 19. Firmware upgrade available with well-experienced team support. The sockets are the consumables of a duplicator just like the tires of a vehicle. After repeatedly inserting and removing flash media you will gradually wear out the socket in a duplicator and a replacement will eventually be required. Since ease of maintenance isn't necessarily a design priority for most duplicators in the market, it can be very labor intensive and time consuming to replace a deteriorated socket - from opening the case, disconnecting cables, to removing boards, then reverse the whole process to complete the task. Some manufacturers may even require you to send the entire unit to them which adds shipping costs and leaves you without a working unit. U-Reach uniquely designed it's duplicators to facilitate effortless maintenance. In its Intelligent 9 Duplicator users can easily exchange the sockets in THREE steps which can take less than ONE minute. With this innovation, anyone can replace a socket thus making maintenance costs associated with the Intelligent 9 Duplicator greatly reduced.